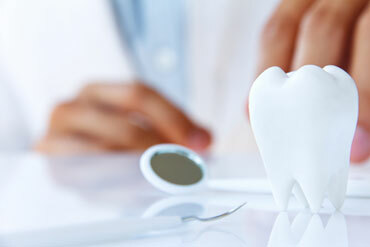 During the late teens and early twenties, people usually have the third set of molars; known as wisdom teeth, grow in. In many cases, these teeth are misaligned and may begin causing problems that require a wisdom tooth extraction to be done. Sometimes these teeth can grow in angled outward or inward, they can grow in horizontally or they may just be too crowded, resulting in impacted wisdom teeth. Teeth may only partially grow in, which can make it possible for bacteria to cause infections that lead to jaw stiffness, pain, swelling and more. The good news is that your local blackburn dental clinic offers wisdom tooth extraction to help relieve the negative symptoms and risks that can come along with problematic wisdom teeth. When the removal takes place, a local anaesthetic, sedation anesthetic or general anesthetic will be administered for the procedure. The choice will depend on the severity of the procedure. In many cases, you may need to have someone on hand to drive you home if heavier forms of anaesthesia are used. Simple extractions may only require a local anesthetic, but when the tooth has to be removed from the jawbone, a stronger anesthetic may be needed. After having the wisdom tooth extraction done at your local Blackburn clinic, there are several things to expect. First, bleeding often occurs for the first few hours after the procedure. Gauze is usually used to help control the bleeding and help a blood clot form. If you experience heavy bleeding or prolonged bleeding, it’s a good idea to call your dentist right away. Other things to expect after the procedure include facial swelling and some pain. You’ll probably be prescribed some pain medications and you may be on antibiotics. Your dentist may prescribe a limited diet for a while as well. How do you know if a wisdom tooth extraction is right for you? Well, this is something that can be discussed with your dentist at your local Blackburn dental clinic. If your wisdom teeth are causing you significant pain and discomfort and causing damage to surrounding teeth or bone, then your dentist will probably recommend a removal. However, sometimes your dentist may recommend that you have the extraction done, even if you’re not experiencing negative symptoms. This may be recommended to avoid problems in the future. If you do need to have the extraction done, be sure to discuss the procedure with your dentist to ensure you both choose the right anaesthesia for your needs to ensure you are as comfortable as possible for the wisdom tooth extraction.